Just downriver from Spokane proper, the Downriver Grill, is another of Spokane’s quintessential neighborhood cafés. About 4 miles north and tucked into the Audubon Park district of cottages and craftsman style homes, this family owned restaurant is always busy! 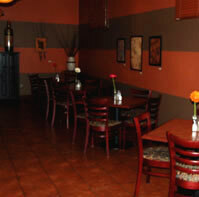 The cuisine is classic Northwest with an emphasis on seasonal specials and down home, from scratch cooking. The entire menu is served all day so you can enjoy sandwich selections for diner or a larger entrée for lunch. Whatever time of day the crisscross french fries in a rich and creamy gorgonzola sauce bring down the house! Only indulge if you cast calories to the wind. A nice selection of sandwiches includes a traditional Ruben rendition and the more unusual Mesquite Salmon Club, Grilled Yellowfin Tuna and Kobe Beef French Dip. 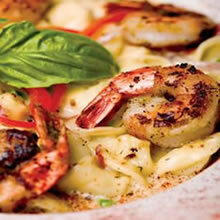 Or perhaps Prawn Tacos or the raved about Cobb Salad might be your dine of the day. Downriver evenings bring out the entrée specials of the night that might include a Calamari or Steamed Clam appetizer followed by a tasty serving of Puttanesca or Seafood Fettuccini. For chicken lovers the Chicken Marsala with crimini mushrooms or Rosemary Grilled Chicken served over a sun-dried tomato pesto risotto might fill the bill. The Downriver Grill is happy to substitute Small Planet Tofu in any dish and makes a point of offering and designating gluten free entrees. 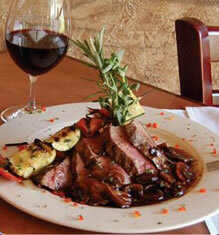 Flatiron Steak with a wild mushroom port demi glaze or a southwest rubbed, Hand Cut New York Steak are beef items offered. All beef products are Certified Angus Beef. 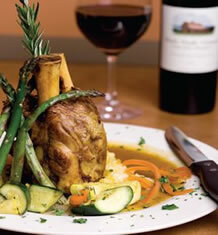 A neighborhood favorite is the incredibly rich and tender Osso Buco pork shank slow cooked in a reduced demi glaze. Save room for made from scratch deserts including the Heaven sent Tiramisu! A nice selection of fine wines and microbrews is available in the casual wine bar and during the warmer months the dining crowd moves to the outside patio. The Downriver grill is certainly an upriver experience! Make reservations!